The 2018 edition of the Cornwall Business Awards is shaping up to be one most competitive yet, attracting a bumper number of entries despite the move to an earlier date. Businesses of all shapes and sizes from across Cornwall and the Isles of Scilly are in the running for one of the coveted trophies, with manufacturers and charities battling it out alongside hotels and food producers. Entries have now closed so it’s over to an expert panel of judges who will discuss, evaluate and score the entries and whittle them down to gold, silver and bronze for each category. A shortlist will be announced on March 15 before the winners are revealed at the St Mellion International Resort on April 19. Stu Anderson, from event organiser Cornwall and Isles of Scilly Growth and Skills Hub, said: “We are delighted by the number of entries that we have received for the Cornwall Business Awards 2018. “The fact that so many businesses recognise that they are doing something great is testament to the passion and enthusiasm that is so prevalent in our business community. For the first time, customers and clients were invited to nominate their favourite local businesses who were in turn encouraged to apply by the Growth and Skills Hub. All those who made a nomination were entered into a prize draw to win two tickets to the glittering awards ceremony featuring Gregg Wallace of MasterChef fame as guest speaker. Natalie Hadfield from Bspoke IT was the lucky winner. 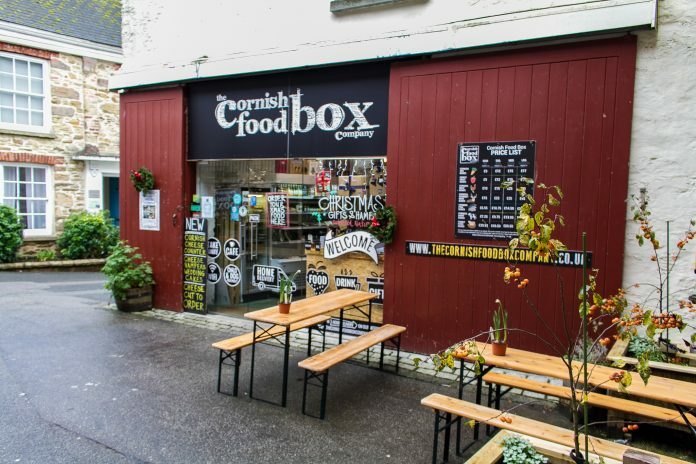 Her nomination was for the Truro-based Cornish Food Box Company, which went on to enter. She said: “I am absolutely delighted to have won the prize draw and to have had the opportunity to highlight all the incredible work that the Cornish Food Box Company is doing. They have amazing ideas, provide fantastic service to each and every customer and are active in the business community. The Cornwall & Isles of Scilly Growth Hub and Skills Hub provides an independent and impartial signposting service to help businesses grow through specialist support and training. It is part funded by the European Structural & Investment Fund and match funded by Cornwall Council, the Department for Business, Energy & Industrial Strategy and the Cornwall and Isles of Scilly Local Enterprise Partnership. Next articleAre you ready for GDPR?